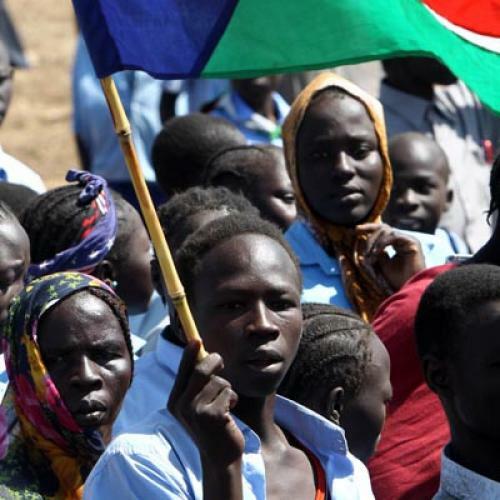 As the July 9 date for the secession of South Sudan approaches, something very ugly is happening in Sudan. Northern Sudan has initiated a series of violent affronts on contested regions: the border region of Abyei last month, and now, South Kordofan, a northern state whose inhabitants mainly identify with the South. While the assault on Abyei has resulted in an already acknowledged humanitarian crisis, the consequences of the attack on Kordofan are likely to be even more severe. An early UN assessment of the aftermath of the brutal seizure of Abyei found that the actions by Khartoum’s military and militia forces—including killings and ethnically targeted destruction of property—were “tantamount to ethnic cleansing.” More than 100,000 Dinka Ngok—the northernmost of the Dinka tribal groups, the largest in the South—fled for their lives to the south of Abyei. A mass of satellite and ground photography depicting ethnic cleansing and the extraordinary statements by former U.S. State Department Ambassadors-at-Large for War Crimes of the “crimes against humanity” further testified to the gravity of the assault. Now, even greater violence is rapidly unfolding in South Kordofan, which abuts Abyei and lies immediately north of an oil-rich region in the South. For the past week, there have been many reports of ethnically-targeted executions (including women and children), destruction of churches, the killing of church officials, and bombings of civilian targets in the Nuba Mountains. Geographically situated within South Kordofan State, but nowhere contiguous with the area that will become South Sudan, the Nuba area is populated by an ethnically, linguistically, and religiously diverse people who sided with the South during the civil war and feel deeply uncomfortable with the threat of Khartoum’s Islamism and Arabism. Because the center of military resistance is within the Nuba, and because Khartoum wishes to eliminate the region as a source of future threats,much of this assault on Kordofan will take place in the Nuba Mountains. We have no way of knowing exactly how many have fled in South Kordofan but the estimates are growing with terrifying speed; the UN estimate for the capital of South Kordofan State, Kadugli, is around 40,000. Human Rights Watch reports “tens of thousands of people” fleeing toward El Obeid, the capital of the North Kordofan State. The World Council of Churches, an organization with close ties to the people of the Nuba, reports that as many as 300,000 civilians are besieged and cut off from humanitarian assistance. The highly reliable Sudan Ecumenical Council has declared that “[other civilians] have fled to the Nuba Mountains, where they are being hunted down like animals by helicopter gunships.” With critical shortages of water and food already reported—it is also now the “hunger gap,” the period between fall and winter harvests and the next round of harvests beginning in October—conditions for those who have fled and are cut-off from any assistance will only grow more deadly. Ominously, Sudanese President Omar al-Bashir has given a free hand to military forces in South Kordofan, apparently giving license for the persecution of anyone accused of sympathizing with the southern Sudanese movement and party, the Sudan People’s Liberation Movement (SPLM), which is overwhelmingly made up of African tribal groups. Human Rights Watch reports receiving “credible reports” that various northern militia “carried out house-to-house searches and set up checkpoints,” killing civilians in the process. But alarmingly, it’s not yet clear whether the Obama administration appreciates the enormous differences between South Kordofan and Abyei, and in particular the potential not just for ethnic clearances but large-scale ethnic destruction. Khartoum had exerted de facto military control over Abyei for several months, and there was little chance the Southern SPLA would respond militarily. But those Nuba who are members of the SPLA feel that in fighting they will be defending their homeland, and their resistance will be intense. The administration’s response to the seizure of Abyei was far too muted and lacked a clear articulation of specific consequences if Khartoum failed to abide by a UN Security Council “demand” that the regime withdraw militarily. This had the disastrous effect of encouraging Khartoum to believe that there would be an even less forceful response to military action in South Kordofan, which, unlike Abyei, is geographically clearly in the north. While the White House issued a belated statement on Friday evening, calling recent events “reprehensible,” the statement lacked force and gave no true sense of the scale of the atrocities we know to be occurring. “We call on the UN to fully investigate these incidents, and we demand that the perpetrators immediately halt these actions and be held accountable for their crimes,” the statement read. But the invocation was misguided; the UN has a terrible record in Sudan—whether in Darfur, Abyei, or South Kordofan. A UN investigation is likely to take many weeks or months, even if access could be secured from Khartoum (a highly unlikely development). And a UN investigation would almost certainly be incomplete, as the UN force in South Kordofan, UNMIS, has completely lost the trust of the Nuba. What’s more, the White House misleadingly presented the actions of Khartoum’s forces in the same context as those of the SPLA: “We also call upon the leaders of the Sudan People’s Liberation Army in South Kordofan to avoid reprisals and other human rights violations, to agree to a cease fire, to provide full access to the UN and humanitarian agencies and to cooperate in a UN investigation of the reports of such violations.” By admonishing the SPLA, the administration misdirected attention away from the real villains in this situation. The ethnic killings, the summary executions, the indiscriminate aerial bombardments, the use of heavy artillery against civilian targets, the destruction of churches and murder of church officials—these are singularly the responsibility of the regime in Khartoum. When I was in the Nuba in 2003, I heard again and again the same simple declaration: “We have no way out.” Lacking geographic contiguity with the South, there was no physical exit and the only choice was for the people of the Nuba to stay and fight for their traditions and lands rather than surrender to al-Bashir’s vision of what North Sudan is to become. But the cost of such defiance will be devastating. The hundreds of thousands who are now besieged and without humanitarian relief are deeply endangered, as relief organizations are withdrawing rather than deploying. Ethnically-targeted human destruction, genocide, need not make use of machetes, or even more sophisticated instruments of destruction. As this regime has learned over the past 22 years, the cheapest way to wage war on the African peoples of Sudan is by pitting ethnic groups against one another and then denying humanitarian access. How President Obama responds to this potentially disastrous situation will determine the moral character of his historical legacy for decades.